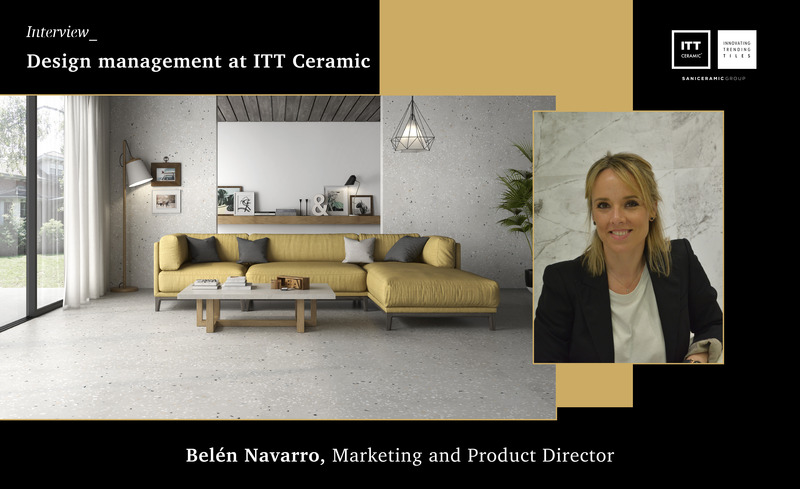 "Feeling is a key factor in design management at ITT Ceramic"
The Spanish ceramic sector is one of the most dynamic and innovative industries, leading technological development, design and product and service quality in the international arena. Since its origins, the Saniceramic Group has supported Spanish ceramics in opening up new horizons in research within the sector of materials for architecture and habitat, which have allowed the implementation of multiple and innovative solutions that combine technology and ceramic materials, always bearing in mind the principle of sustainability. Innovation, both in terms of design and production processes, is an extremely important factor for the Saniceramic Group, something that is materialised through its two main brands: ITT Ceramic and Arklam. “Product life cycles have been significantly reduced and design, inspired by current trends, has taken an important place. This leads us to make a constant effort to anticipate new market trends and face the greatest complexity in launching and marketing new products”, explains Belén Navarro, Marketing and Product Director at ITT Ceramic, who adds that “in the case of our company, every year we launch more than 100 new products, both in porcelain, technical porcelain, white body, red body and stoneware, as well as in large format sintered dough, with a wide variety of formats and finishes”. “Enhancing customer proximity and betting on technology as a factor of constant innovation in these processes is fundamental”, adds Navarro. Furthermore, in his opinion, the sector must be prepared for the great changes that are coming, “so, at ITT Ceramic, beyond thinking about the product, we are working intensely to achieve effective competitive advantages”. And, in this respect, Navarro states that he is “totally in agreement” with the need to promote three fundamental actions: “to act to develop content, design and produce; to reflect on data and its analysis and, above all, to excite in everything related to marketing and interaction with the user. Because it is useless for the heart to have wings if it is in a cage”. For all these reasons, “feeling is a key factor in the management of design in our company”. ITT Ceramic’s Marketing and Product Manager believes that “design is the key to the future, as Norman Foster, one of the great visionaries of our time, said. Based on this idea, “at ITT Ceramic we are going to continue to bet on DESIGN with capital letters, since it is an excellent tool not only to give excellence to the product, but especially to develop innovative solutions that guarantee a better future”. And directly linked to design is creativity, which Navarro conceives as “a dynamic, lively and changing process that leads to development and progress”. “Albert Einstein said that creativity is intelligence having fun and I like to understand the creative process as an intellectual exercise in which the best of us as professionals flow, but above all, as people”. On the other hand, “energy efficiency has become consolidated as a key in terms of product design, as it allows us to increase cost savings in the production system and generate a more sustainable product offer”, says the Marketing and Product Director of ITT Ceramic. 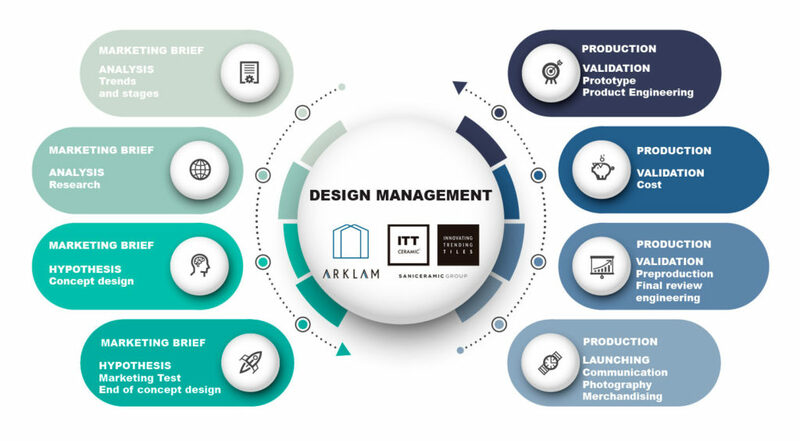 This is the case of Arklam Super Size, a large format range that has just been awarded the NAN Architecture and Construction Prize for the best paving material in Spain. Similarly, Saniceramic Group is betting on industrial processes that enable just-in-time customization, along with other innovations aimed at product diversification. In this sense, Navarro considers that “new manufacturing and decoration technologies (advances in grinding and polishing, use of new glazes, digital printing…) have allowed us to continue research into new ceramic materials for architecture and habitat, incorporate technological solutions for sustainability and energy efficiency (use of cogeneration, for example) and save on transport and transformation losses”. Saniceramic Group is also applying new methodologies to improve customer service by applying technology, such as, for example, sending products in less time, with improved order tracking; the use of software to reduce stock and improve logistics; the creation of digital catalogues and the use of social networks to increase direct contact with users and interest groups, as well as offering the possibility of requesting personalised ceramic products.